We’re through another week of action in the NHL and I’ve got to say, this may have been the toughest one so far when it comes to whittling my list of potential Goals of the Week down to a top five! 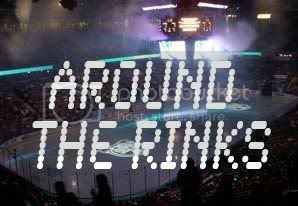 Cracking the list this time around is a beautiful spinning backhander, some slick breakaway moves, a bit of between the legs magic, a clutch play from a young forward and a one-man show at the United Center! Toronto’s Tyler Bozak checks in at number five this week, corralling some knee-high sauce from Phil Kessel and hitting the top shelf with a spinning backhander over the shoulder of Roberto Luongo. Beauty! The Ottawa Senators were quite charitable in their own end this past week, and one of the beneficiaries of that fine humanitarian work was Boston forward Patrice Bergeron – check out the moves on this breakaway! After a solid start, the Edmonton Oilers have fallen on some tough times lately, and that continued with a loss to the San Jose Sharks on Saturday night. One bright spot this season though, win or lose, has been the play of the young guys. Don’t believe me? Check out this dangle by Jordan Eberle! There were a lot of unreal goals scored last week in the NHL, but for my money, none were better than this beauty from Chicago’s Patrick Sharp. He picks up the puck near the Anaheim blue line and barrels right through a crowd of four Ducks players, before going bar-and-in on Jonas Hiller. Spectacular stuff! You know he was already thinking about a celly before that one even left his stick!